At Taprobane Tea Company we insist on the highest quality. With this in mind we carefully selected one of the very best blending and processing facilities in Sri Lanka to prepare our products. In a joint venture project with one of the largest importers of tea to Japan, our supplier built a state-of-the-art tea cleaning, blending and processing plant. They have standards of the highest quality and have certification from the following1: National Association for Sustainable Agriculture Australia; Internal Organization for Standardization for Quality Management and Food Safety Management; Hazard Analysis and Critical Control Points; Food Safety System; and Good Manufacturing Practices. The management of the blending and processing facility has also incorporated stringent measures to ensure employee safety. In addition, it is an equal opportunity employer and its remuneration packages are well above industry standards. The impressive tea processing equipment at the plant consists of a dust containment unit, which extracts excess dust particles to give a clean, uniform tea blend; magnet units and metal detection units to remove any metallic particles from the tea; a sifter and vibration unit which removes any impurities from tea and; lastly, a blending drum which thoroughly mixes tea to obtain a uniform blend. The plant has a specially designed and scientifically equipped facility for quality control and for tasting and analysing all teas. 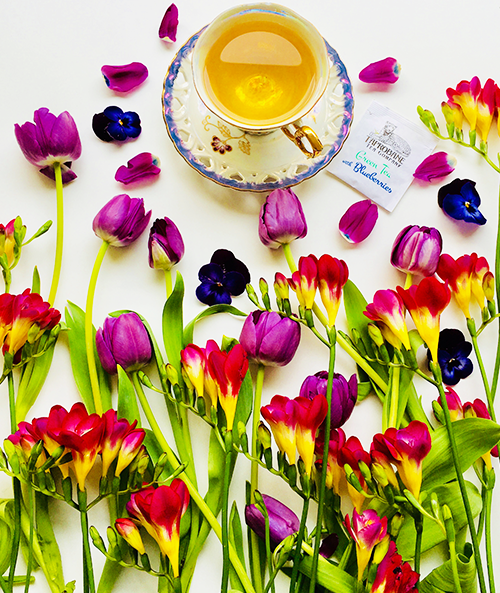 The blends of teas are carefully selected by expert tea tasters who take careful note of such factors as leaf appearance, colour, aroma and strength of brew. Lastly, tea bags are manufactured on sophisticated machinery that produces Double Chamber tea bags with a String and Tag. Note that metal staples are not used to attach the string and tags to the tea bags. Double Chamber tea bags produce a faster and more even brew of tea than the traditional single chamber tea bags. 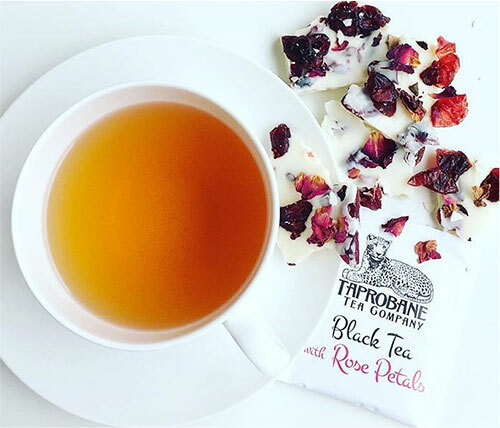 All of this means that Taprobane Tea Company products are carefully chosen and hygienically processed so that our customers receive premium quality black, green and flavoured teas1. 1 NASAA (Organic); ISO 9001:2000; ISO 2200:2005; HACCP; FSSC 22000:2010; GMP.